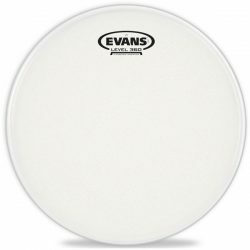 A UV-cured extremely durable coating that will resist chipping – The Evans UV1 is a versatile drumhead with a bright, open sound. This is a great choice if you need a longer lasting single-ply head for your snare, bass drum, and toms. 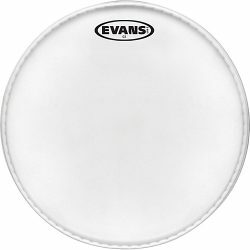 The Evans UV1 is a coated drumhead made with a single ply of 10mil film. Unique to this head, the top coated layer is UV-cured, and is designed to resist chipping and flaking. 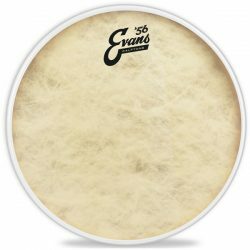 Evans are accurate when they say these drumheads are durable… the UV1 still looks almost new, even after hours of heavy use. The UV-cured coating is very strong, and stays stuck hard to the head’s surface. 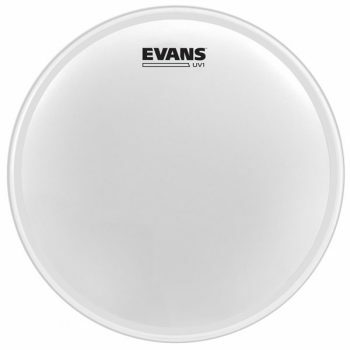 Compared to other single-ply drumheads, the Evans UV1 has great durability. As well as being strong, the coated surface of the UV1 is also nicely textured, making this drumhead very responsive to brushes. Sound-wise, the Evans UV1 has a nice tone that sits on the brighter side of balanced. 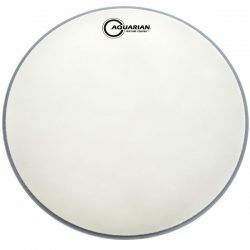 This is a very open and lively sounding drumhead, with a good balance of high, mid, and low frequencies. The UV1 provides a good open sustain and some nice colourful overtones, especially when hit around the edge. 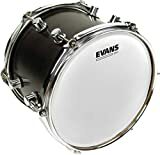 For drummers who want versatility in their sound, the Evans UV1 is a great choice – leave this head open for more sustain and character, or add dampening to get a more controlled or fatter sound. Cycling through the tuning range, the Evans UV1 remains lively and vibrant from low to very high tension. This drumhead can produce a deep, fatter sound when tuned low, and really sings when tuned higher. 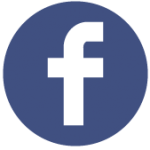 At medium tension, there is a good and fairly full-bodied drum sound. 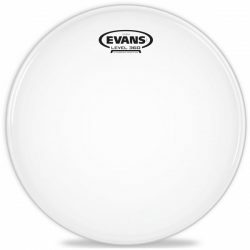 Again this gives the Evans UV1 some extra points in the versatility department, with this head giving you a great range of drum tuning options. The single ply of 10mil film makes the Evans UV1 very responsive. 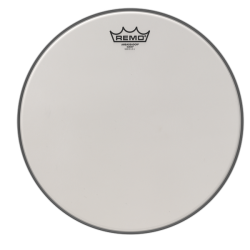 This drumhead reacts very well to lighter touches and ghost notes, with good clarity to each stroke. Hit harder, the UV1 is capable of producing a bigger sound (especially on snare drums), and some good rimshots. 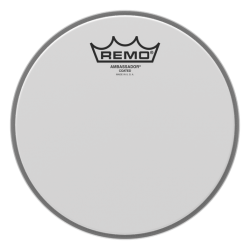 This drumhead is well suited to low, medium, or slightly higher volume playing. 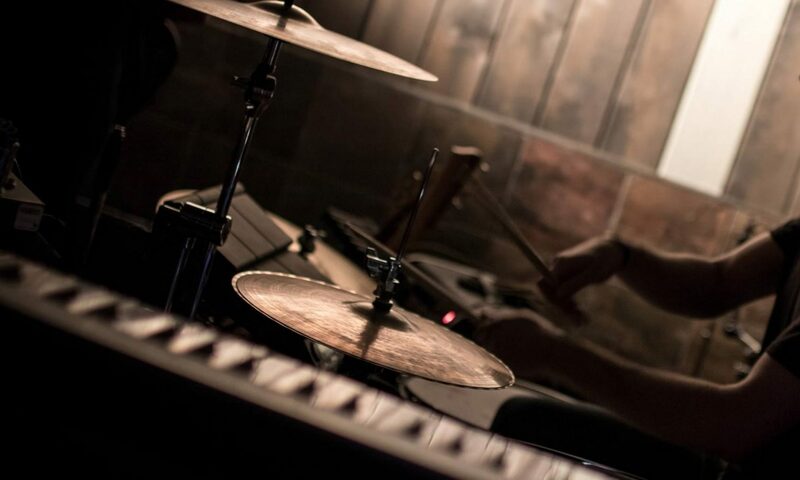 Note that while the UV1 is usable in loud situations (especially when tuned up high), you may benefit more from a louder drumhead for constant very high-volume playing. If you’re tired of your drumhead coating chipping away, the Evans UV1 is for you. This is an extremely versatile and durable drumhead that will last longer than other single-ply heads. 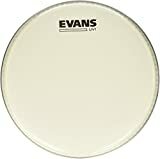 The open lively sound and very wide tuning range makes the Evans UV1 a great choice, and this head is very playable across a huge range of drumming styles and volumes. 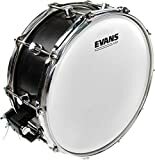 The Evans UV1 is made for toms, snare drums, and bass drums.